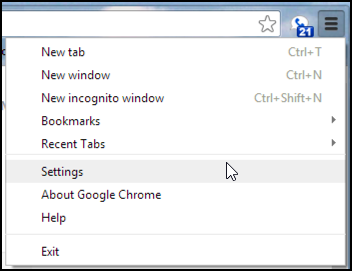 How do I add an SEO toolbar to my Chrome browser? I’m running Google Chrome on my Windows system and would really like to be able to add a toolbar or two to help me learn more about the sites I visit. In particular, is there a good SEO (search engine optimization) toolbar you recommend? First off, I’ll give you my standard SEO disclaimer: the more you focus on it, the more you’ll slowly find yourself going insane as you realize that it is partially unknowable and subject to the whims of the electronic Gods. So if you must install an seo toolbar, at least be aware that it’s only going to be able to show you a fraction or portion of what’s going on. Still with me? Okay. Used to be that the best reason to download Firefox was because it had a bunch of neat custom toolbars, but nowadays every major browser has the ability to slap on a toolbar or two (or more! ), including Internet Explorer, Safari and, of course, Chrome. I’m a bit of a purist in that I like to see the page I’m viewing, not the toolbar, but to each his own. You can go to different sites to get toolbars, but I strongly recommend that you only go to the Chrome Store to get things. It decreases the chance that you’ll end up with some malware, spyware or hijackware that messes up your browser and, potentially, your computer. They’re not good, trust me on this. Before you go further, though, have a close look at the space between the empty star icon and the horizontal-lines button: most extensions you install add buttons at this point, so if you don’t recognize one, it’s a warning sign that there might be a malware toolbar problem. If you guessed “choose Extensions” give yourself a prize! You’re right. Click on that. Here’s where you can specify a keyword related to your search. For you, “SEO”, so type that in. I have no experience with either, so let’s rather randomly choose “SEOquake” because its icon is more attractive. Yes, sometimes that’s all it takes for a potential customer to choose one over another. Amazing, eh? What’s cool is that you don’t even have to restart Chrome to get it to work. In fact, it’s already working. Now just remember to examine and analyze SEO stats in moderation. Your sanity will thank me. 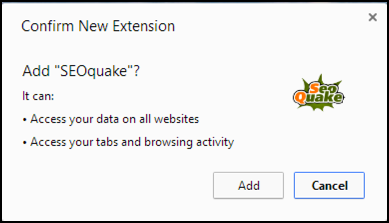 I have SEOQUAKE installed as an extension but the tool bar does not show up. any ideas? is there any chrome extension would can count any backlink to web/blog?